Do speed cameras really improve road safety? How secure is critical IT infrastructure in government agencies? How does the NSW government ensure quality service though commissioning? These are some of the questions you may examine as a Senior Performance Auditor at the Audit Office of New South Wales. Your work will be impactful, insightful and varied. By helping ensure public sector effectiveness you will make a real difference to the people of New South Wales. The Audit Office of New South Wales helps hold NSW government agencies and local councils accountable for their use of public money. We operate independently of the government and have strong values around purpose, people and professionalism. In this role, you will be part of a small, multidisciplinary team to design and deliver quality performance audits within defined timeframes and budget, culminating in a published report to the NSW Parliament with recommendations on how a particular program, service or entity should be improved. This is a great opportunity to apply your sound analytical, judgement and decision-making skills, and to share your expertise across the Audit Office. We are seeking to fill multiple Senior Performance Auditor positions. Is this you? Click Apply. Applications close midnight Sunday 5 May 2019. For your application to be considered it must include an up to date resume along with a cover letter (maximum 2 pages) outlining how you meet the requirements and capabilities of this role. Describe a time when you needed to provide analysis and advice to improve a policy area, program, service or initiative. What analytical tools or methods did you use? How did you ensure you were providing robust and defensible advice? The total remuneration package is from $97,092 p.a. to $128,032 p.a depending on experience, skills and capabilities. The terms and conditions of employment for this role are covered by the Crown Employees (Audit Office) Award 2018. 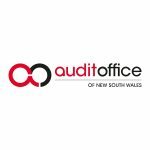 The Audit Office of New South Wales values diversity and inclusion in the workplace. We welcome and encourage applications from people of all ages and genders, Aboriginal and Torres Strait Islander people, culturally and linguistically diverse groups and those with a disability.